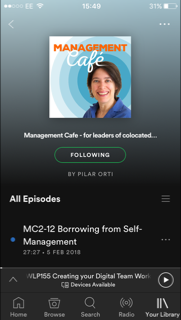 00:30 Pilar talks a bit about Blab and recommends a long list of podcasts, related to business and other stuff. For a list of podcasts on podcasting, check out the special on International Podcasting Day, on Weds 30th Sept.
Why Elsie started podcasting. Storytelling in podcasting. From yoga podcaster to podcast advocate with Libsyn and She Podcasts. She Podcasts and building a community. Digital media as a way of making your voice heard. Elsie mentions Malcolm Gladwell's book The Outliers. Will women's attitude and relationship with technology be different in future generations? Podcasting School for Women. From self-awareness to launch! Community management and Elsie's role in Libsyn. Listen to The Feed!